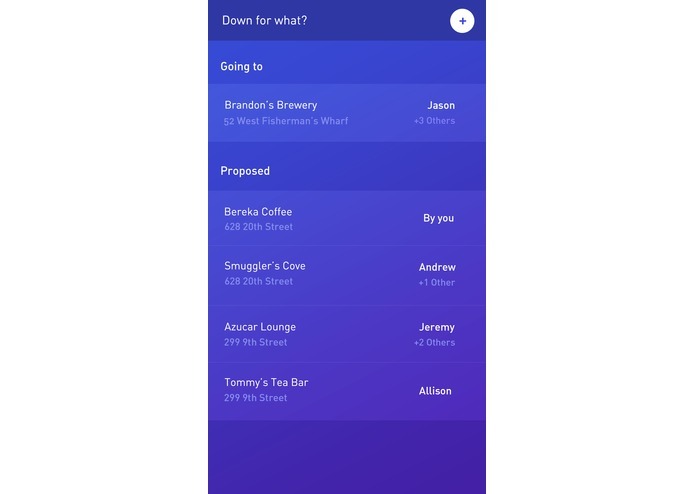 DownForWhat is a simple ephemeral network that allows you to notify your friends of what you’re down to do right at this moment. 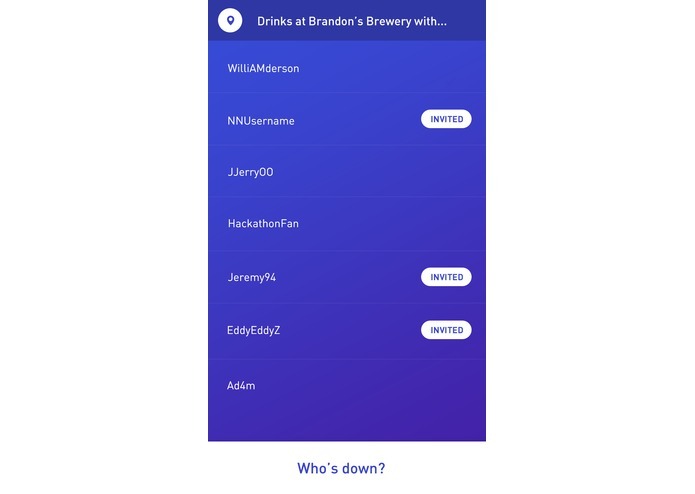 The target demographic for this app is college students, we noticed that they are constantly asking their friends where they are going out and what they’re down to do. 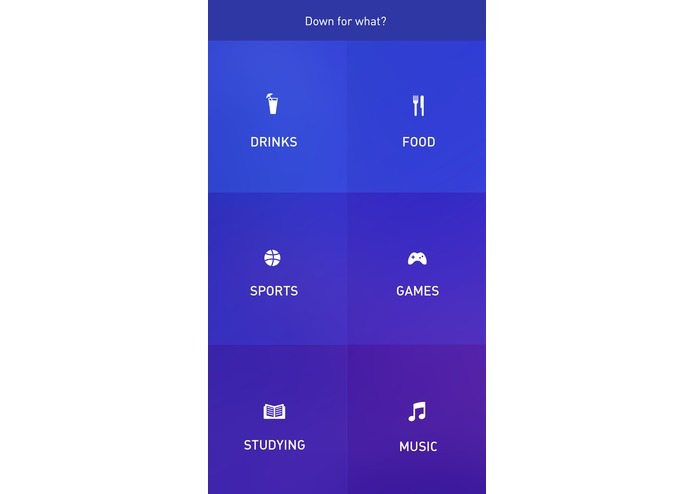 With DownForWhat you’re able ask all your friends whether they are down to do something in just three taps, creating valuable and real life social interactions with your friends. All the people you are down to hang out with will receive a short-term invitation. Since DownForWhat focusses on social activities in the now (‘I’m down to do X right now’) sent invitations disappear after 15 minutes. 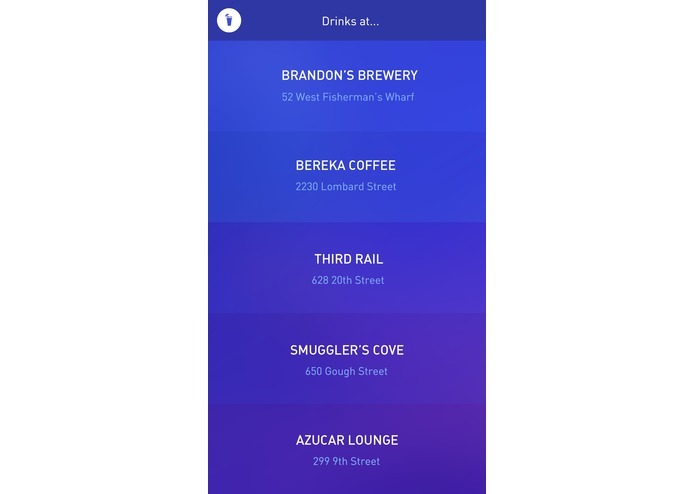 During the signup process the user selects the friends from his addressbook that he likes to hang out with. 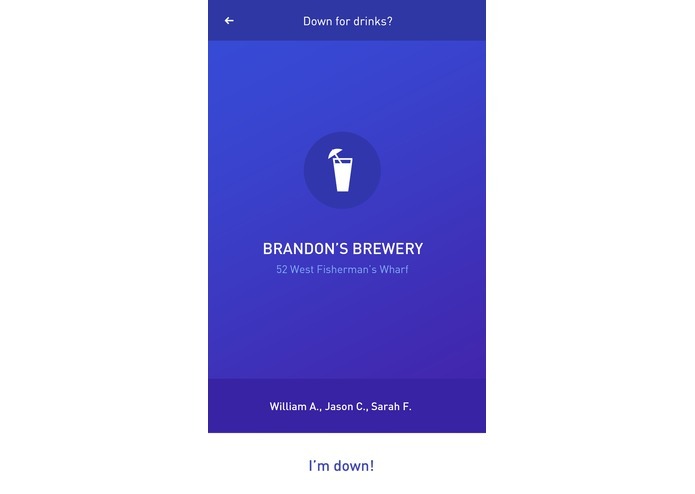 Solving the chicken and egg problem was an important aspect of building an app like this. That’s why the phonenumbers of the selected friends are used to send SMS messages through Twilio to the friends that aren’t using the app yet. They can simply reply to the text with ‘Down' to confirm that they’re down.